From over 175 international entries, I was selected as the winner of an international design competition to produce a unique lighting installation for St. Peter’s Church, the Luminale festival hub in Frankfurt 2010. The competition win saw me selected as young lighting designer of the year 2010. My project was designed to link the living city and the surrounding cemetery. Old vs new. Softness vs strength. My concept was to create a huge cloud of light rising from the church, evoking a sense of mystery; ultimately creating an experience greater than the power of light alone. 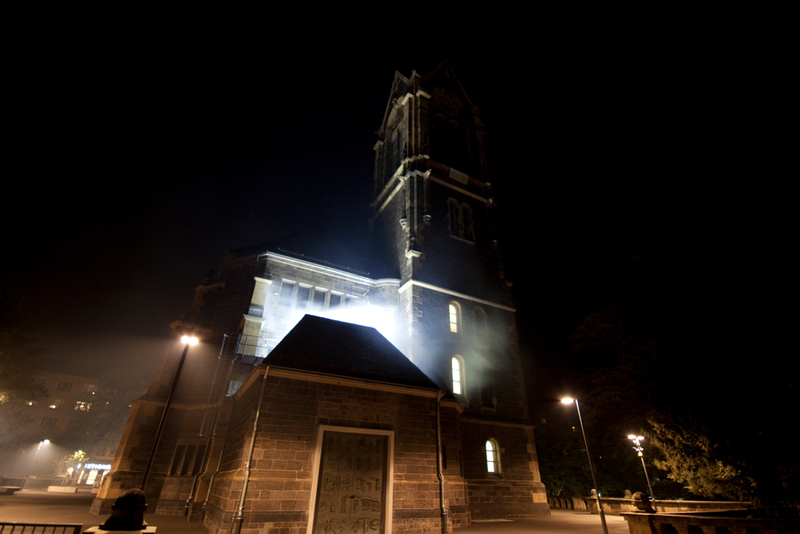 Flowing light and smoke surrounded the church’s skyscape and created an impactful installation. It ran for 2 nights before it was shut down by the Frankfurt fire brigade, although they were notified somehow not everyone got the message.